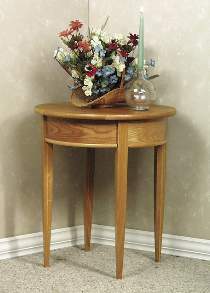 Find out the easy way to build a round end table. This design shows two different methods for making the curved side pieces, with or without the use of wood veneer. Measures 24”H x 21-1/2”Dia.